The PACE (Partners in Achieving Community Excellence) Foundation has partnered with the Houston School District for the past several years to fund an incentive program for students who show growth or score proficient or advanced on state testing. 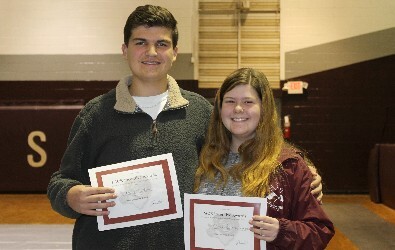 Houston High School recently awarded students for their achievements on state tests for the 2015-2016 school year in Algebra 1, Biology 1, U.S. History and English 2. 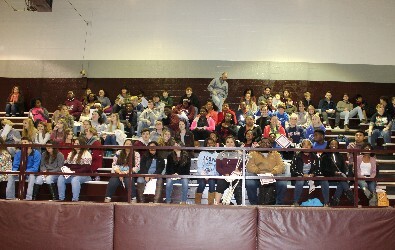 Fifty students scored advanced on state testing. 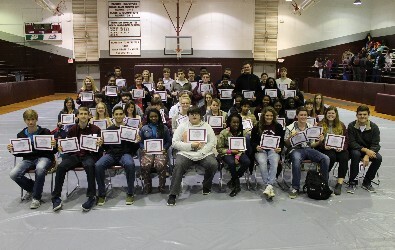 Eighty-five students scored proficient, and sixty-one students were recognized for passing and showing growth. The Houston School District would like to thank the PACE Foundation for their partnership to promote excellence among students. HHS awards Andrew Mitchell (U.S. History) and Michal Simmons (Algebra 1) $200 each, funded by PACE, for perfect scores. 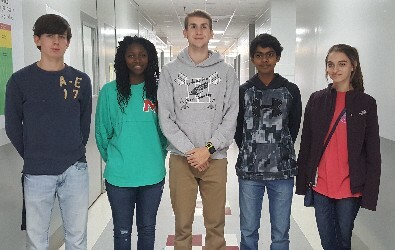 HHS awards $100, funded by PACE, to Blaize Gann (Bio 1), Kanazsha Cooper (Bio 1), Peyton Brassfield (Eng 1), Ajay Patel (Bio 1) and Abbie Mitchell (Bio 1) for high advanced placement. 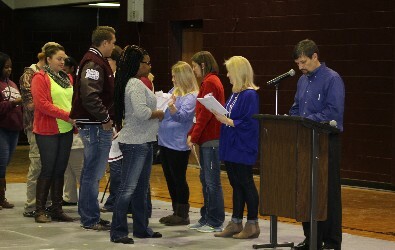 State-tested teachers give out certificates to student recipients as Principal Jason Cook announces their names. HHS awards $50, funded by PACE, to students for each advanced placement. In addition PACE also funds pizza in the park and a movie for these students. 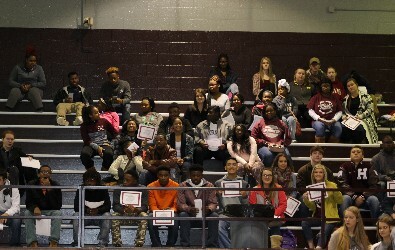 HHS awards a movie, funded by PACE, to students recognized for passing and showing growth on their state tests. HHS awards pizza in the park and a movie, funded by PACE, for students scoring proficient on state testing.